The South African supermodel, who will be modelling the Fantasy Bra at the legendary Victoria's Secret catwalk show on 13 November, wears a metallic pink leather jacket by Saint Laurent on the cover, casually slung over a classic James Perse white T-shirt, while on the subscribers' cover she is wearing a Prada Hawaiian print jacket with Marques'Almeida jeans. In the 12-page fashion story inside, she bring the magic to Louis Vuitton, Richard Nicoll, Stella McCartney, Dries Van Noten, Chloe and Balenciaga. 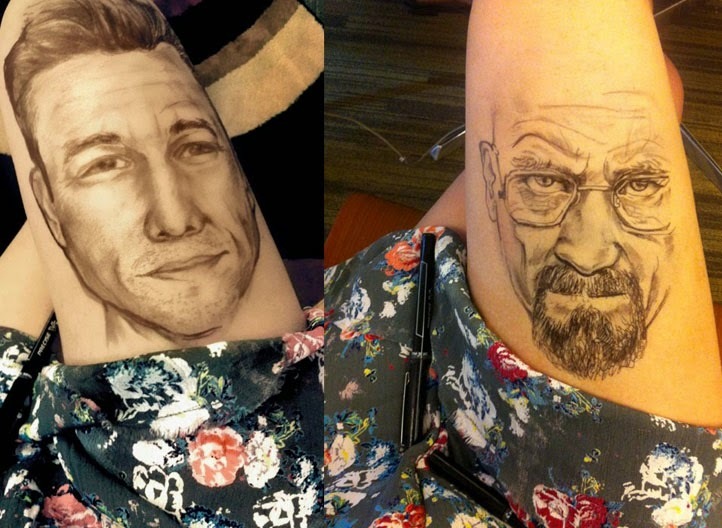 Jody Steel, Boston-based artist draws amazing realistic portraits of celebrities and animals on her thigh. Check them out!